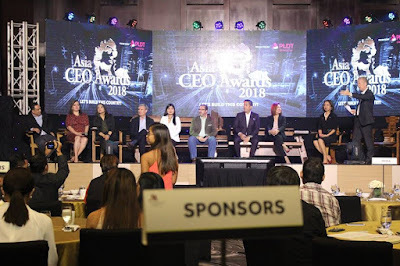 As the largest event of its kind in Southeast Asia, Asia CEO Awards, on its 9th year, highlights Filipino excellence and world-class leadership through this premier celebration business success. 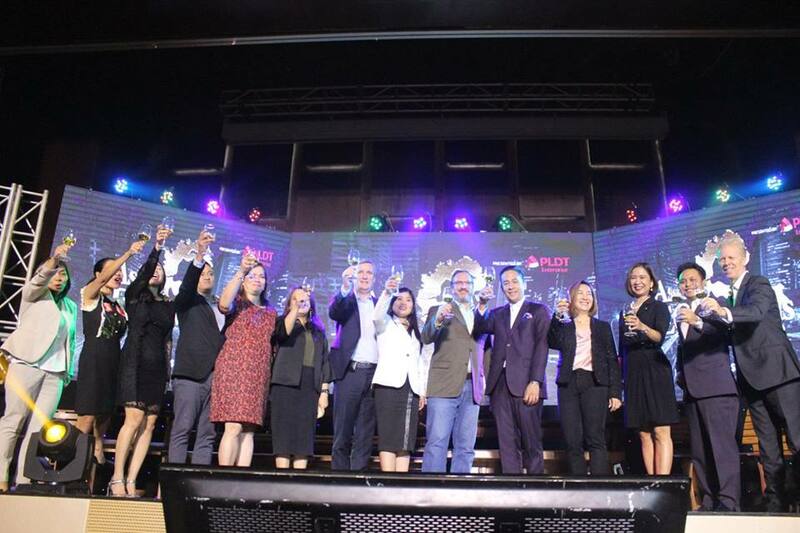 The media launch was held last April 25 at Marriott Hotel in Pasay City. Philippines has become one of the world top countries to invest. Let’s build this country together and lead it first world status. Join the leading visionaries of the nation as the awards will be held on October 16, 2018 at the country’s grandest event facility, the fabulous Marriott Grand Ballroom. 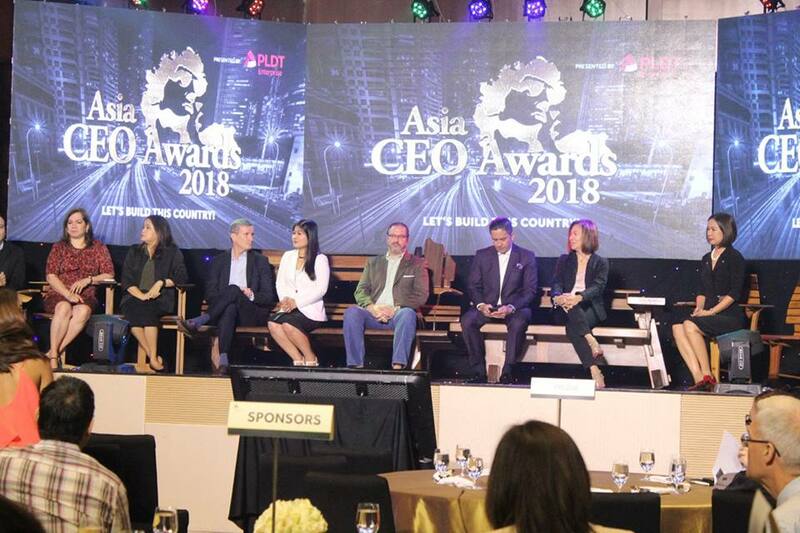 Nominations are officially open for Asia CEO Awards 2018 on May 1, 2018. The deadline for nominations is midnight of September 3, 2018 (Monday). Cast your nominations at www.asia-ceo.awards.org. 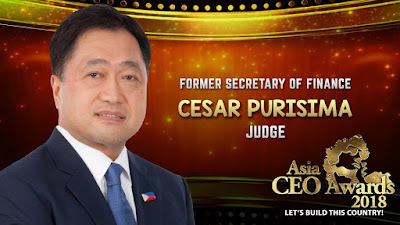 Cesar Purisima - Former Secretary of Finance for the Philippines when the country achieved its first-ever investment grade credit from the three major credit-rating agencies. 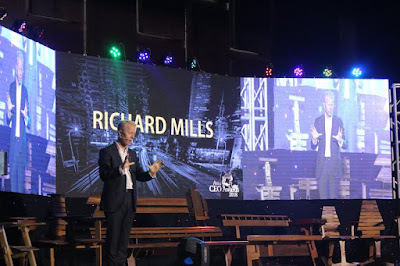 He was named Finance Minister of the Year 5 times by various awarding bodies and is a recipient of the Lifetime Contributor award at Asia CEO Awards 2017. 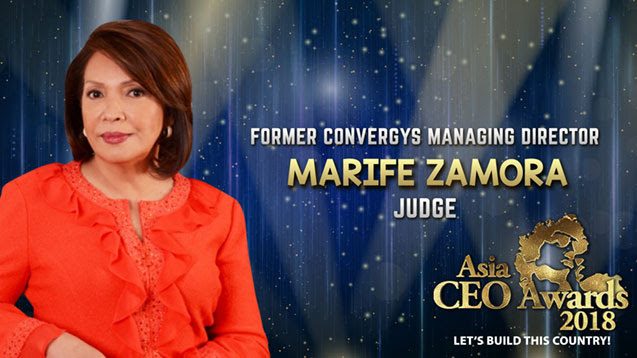 Marife Zamora - Previously Managing Director of Asia Pacific, Europe, Middle East and Africa for Convergys, the country's largest private sector employer at the time. She is past president of the Philippine Software Association and the 68th President of the Management Association of the Philippines and winner of the Global Filipino Executive of the Year at Asia CEO Awards 2011. Zamora and Purisima will be joining a prestigious line up of judges: Distinguished Economist Dr. Bernie Villegas; Philippine Economic Zone Authority (PEZA) Director General Charito Plaza; Former President of American Chamber of Commerce of the Philippines Don Felbaum and; Ambassador of the Philippines to the United States Jose Cuisia; principal architect Jun Palafox; and former Lifetime Contributor recipient Oscar Sanez. 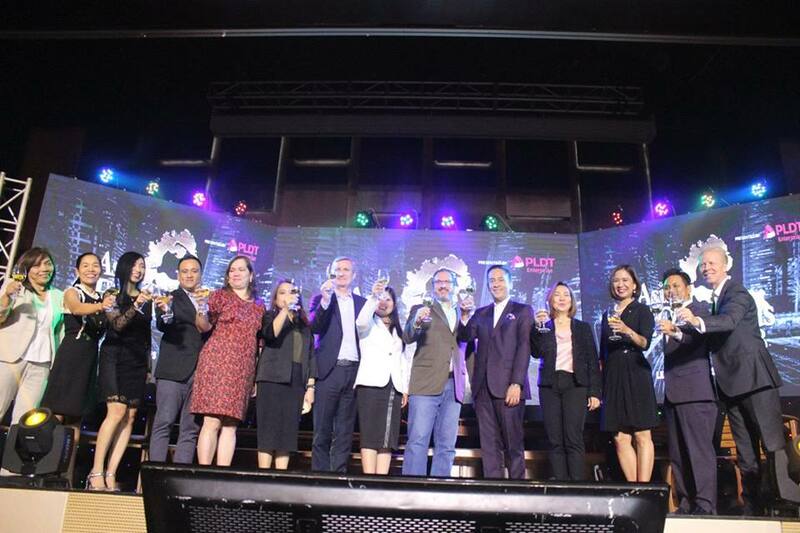 Due to the increasing woes of Filipinos concerning traffic, transportation systems, health facilities and other public necessities, the government recently launched the “Build, Build, Build!” program which aims to resolve the common problems experienced by all Filipinos. There is definitely a lot at stake. The end goal is for the greater benefit and overall economic progress of our country. We give our full support to this program, and even more so, take our own steps to contribute to the Philippines’ further development. The role of the Asia CEO Awards has always been to bridge the public and private sectors, and to empower more Filipinos to help build the Philippines to become a first world nation. With the Build, Build, Build program and the nation’s enormous economic and business potential in mind, our role has become much more important this year. Thus, we hope for your full support in helping us with our commitment to the country. 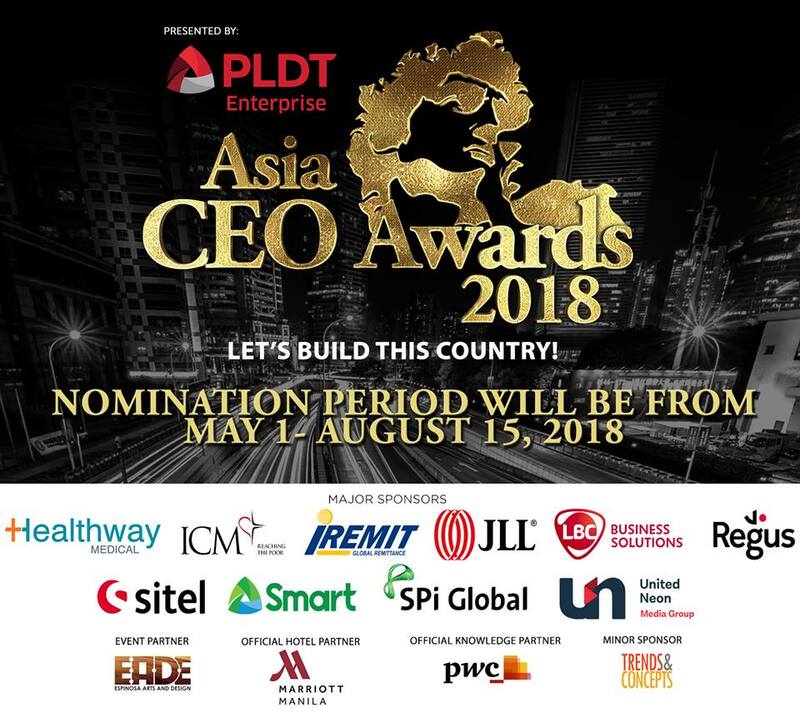 Let us unite with the elite of Asia at the Asia CEO Awards 2018 and together, Let’s Build This Country! Asia CEO Awards welcomes many of the most important contributors to this nation’s success as sponsors. Title Sponsor is PLDT Enterprise. Award Sponsors include: Healthway Medical, ICM, iRemit, JLL, LBC Business Solutions, Regus, Sitel, Smart Enterprise, SPI Global, United Neon Media Group and White & Case. Cocktail Sponsor: Trends and Concepts. Official Knowledge Partner is PwC. Event partner: Espinosa Arts and Design (EADE). Official Venue is Manila Marriott. The purpose of the event is to highlight the accomplishments of your organization and support your efforts to expand your business and develop the capabilities of your workforce. In doing so, you help to promote the nation as a premier business destination to senior decision makers across the world. Any person can nominate candidates for the awards. Individuals and organizations can certainly nominate themselves for awards. Members of the Board of Judges of Asia CEO Awards are excluded from nominating candidates. 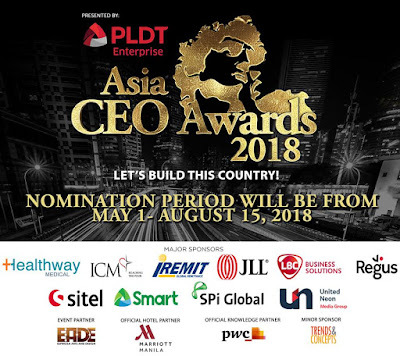 Go to www.asia-ceo-awards.org for details. The judging process is scrutinized by PwC. Judges with commercial involvements with any of the nominated organizations and individuals inhibit themselves from voting. The last day for nominations is Monday, September 3, 2018. The Finalists of each award category are announced after the judges have arduously agreed upon the short-list. Winners are announced on the night of the grand night on Tuesday, October 16, 2018.